Home :: Water to Water Heat Exchanger Products :: Stainless Steel Side Arm Heat Exchanger, Double Wall, 38"
Stainless Steel Side Arm Heat Exchanger, Double Wall, 38"
The Water-to-Water Double Wall Heat Exchanger is a water-to-water, domestic water heat exchanger with 3/4” FIP end ports and 1” FIP side ports. Features a spiral turbulation design. 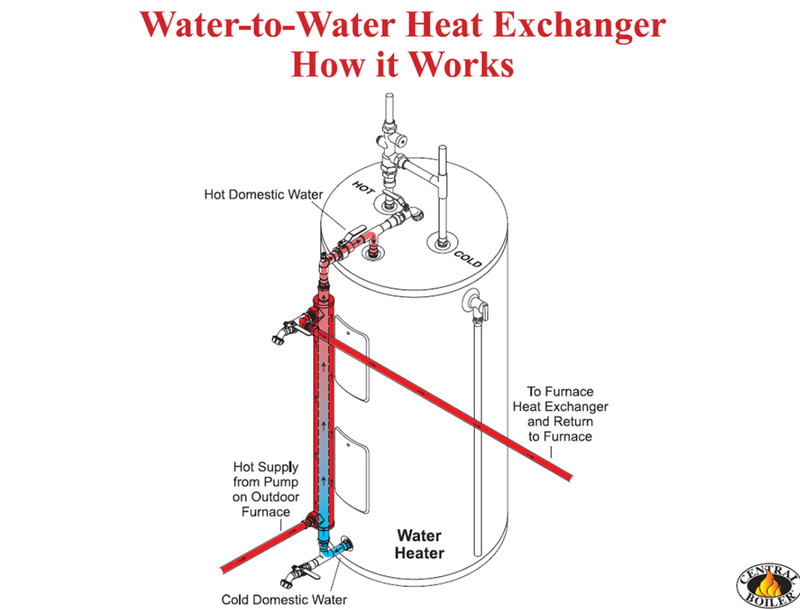 Install on existing water heater for thermal circulating heat transfer.